Veiled Freedom, by Jeanette Windle (Tyndale House, 2009) is free this month on Kindle, Nook, Sony, CBD.com. This book was a 2010 Christian Book Award and Christy Award finalist. Special Announcement from Cec Murphey: Today I learned that the Kindle version of my book When a Man You Love Was Abusedis available for $1.99 through Amazon. The special will run through next Wednesday, July 27. If you know someone who loves a man who was abused, or if you know a man who was abused, tell them about this offer. This Saturday, July 23, in Grand Rapids, Michigan, I will be involved in an important seminar to help those who have been abused and those who love people who have been abused. Main sessions include: I Ought to Be Healed by Now and The Lies We Believe. Breakout sessions include: When a Man You Love Was Abused, When a Woman You Love Was Abused, and Finding Hope in the Heartache. For more details on the When Someone You Love Was Abused seminar, click here. A few weeks ago we received serious news about my brother-in-law in LA. A few days ago we received a call about my mother-in-law. One is mending, the other is not. So, instead of writing this week, I'd like to remind us all to consider how quickly what we know and see and take for granted can change. Below is a song that says a lot of what's on my mind, among other things, because of family events. In God's great kindness, he has given us life, choices and enduring love. So, let's love one another while we can. Bucket List by Stephen Mara is a cool video. Live Like You Were Dying by Craig Wiseman shares the story behind the song in Chicken Soup for the Soul: Country Music.Home by the Esh familyChrist Broke Our ChainsWhat would you include on your YouTube video version of Tim McGraw's song? Please respond in the Comments. I admire Former First Lady Betty Ford's dignity and candor. She made her struggles to cope with difficult personal problems public and helped many. 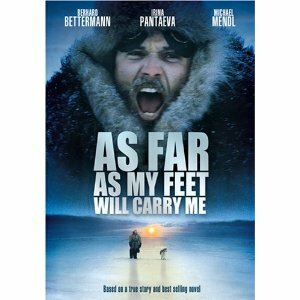 If you're looking for an inspiring tale of courage and endurance, watch As Far As My Feet Will Carry Me. The subtitle for the paperback edition is The Extraordinary True Story of One Man's Escape from a Siberian Labour Camp and His 3-Year Trek to Freedom. I'm getting to know my way around my new Kindle. Did you know you can read free .pdf eBooks on your Kindle? While I was looking for free eBooks on the Web, I found a Kindle tip that was easy to do. (Ammo Books 2010) is a beautiful book, designed to enjoy with a child, if he lets you. 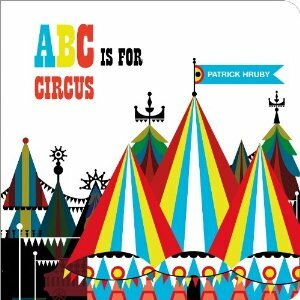 The clear, vivid colors and enchanting designs in this chunky board book are delightful for children of any age.